From the selection of the community name to the evolution of its land plan, everything about Bellasera is unique. Bellasera is an intimate, north Scottsdale community that exemplifies the Del Webb / Pulte heritage, with unprecedented amenities programs for 360 homeowners. Bellasera’s environmental awareness protects approximately 40% of its land by preserving wild and unspoiled desert. Commitment to the land and commitment to the product is what makes Bellasera a stellar Del Webb / Pulte Community. Bellasera currently consists of 290 acres nestled in a captivating open space. As a guard gated community, Bellasera provides intimacy and exclusivity to only 360 homes. Homes range approximately 1,395 to 3,900 square feet. To preserve, protect and enhance the natural beauty of the high Sonoran Desert, Bellasera’s architectural planning, site location and construction techniques have been designed to minimize the visual impact of structures while maximizing your enjoyment with the natural environment. Every aspect of the development meets or exceedsScottsdale’s Environmentally Sensitive Land Ordinance (ESLO). With only 360 home built and approximately 40% of the land left untouched, Bellasera has a special appreciation for the precious desert. All landscaping, including drought-tolerant trees, shrubs and ground cover is indigenous to, or has been adapted for, the native desert climate. 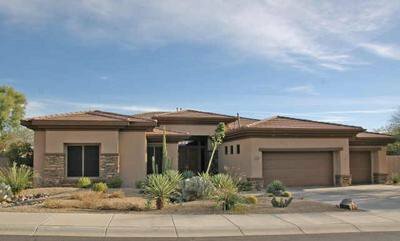 For inquiries on Bellasera real estate in Scottsdale, Arizona, just Email or call us at 480-595-6412.